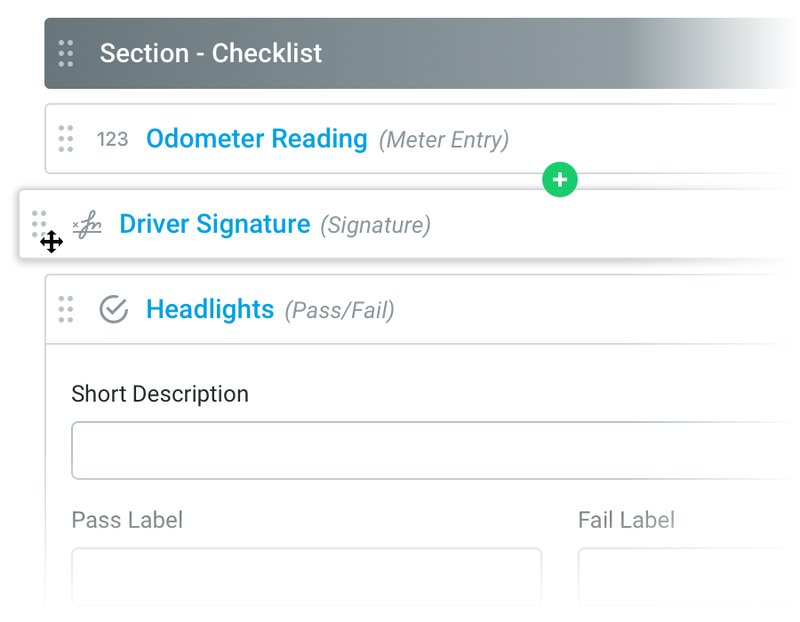 Learn more about how an electronic inspections tool like Fleetio Inspections can help your fleet comply with FMCSA regulations easily. Conducting pre- and post-trip inspections is a great idea for all fleets. Whether Federal Motor Carrier Safety Regulations (FMCSRs) apply to you or not, regular vehicle inspections help identify and address vehicle issues early. This helps minimize downtime and improve safety for your drivers and the general public. If you operate commercial vehicles as defined in §390.5, you’re required to comply with parts §392 and §396 of the ECFRs. The regulations aren’t always easy to understand. That’s why we’ve studied them for you and built Fleetio Inspections around these requirements. If you’re just getting started with understanding these regulations, start with our Guide to DVIR Compliance & FMCSA Inspection Regulations. Fleetio enables fleet managers to meet all of these requirements in a simple system that ensures nothing slips through the cracks. Let’s start here as a refresher. Commercial vehicles as defined in §390.5 must complete pre- and post-trip inspections, however, DVIRs are only necessary when defects are found on the vehicle. Keep in mind, many fleets choose to record all inspections with a DVIR since it’s pretty difficult to prove an inspection was performed otherwise! 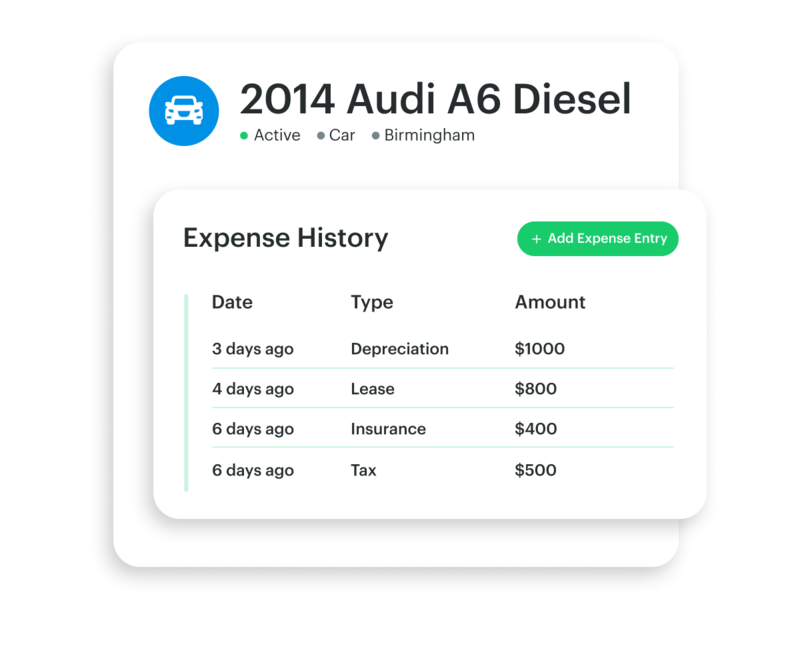 Since Fleetio Inspections can be 65% faster than traditional paper reports, it’s easy to record every inspection. You heard that right. Fleetio makes it easy to exceed FMCSRs. You may be wondering if DOT inspectors will actually accept electronic DVIRs. The great news is that a motor carrier may use any type of DVIR as long as the report contains the information and signatures required for compliance (§390.31). 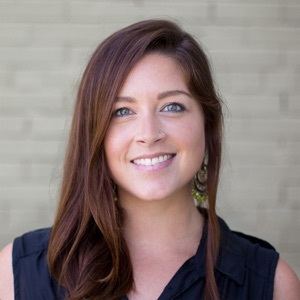 Ready to learn how Fleetio Inspections works? Fleetio has you covered with pre-built forms that include all of the required inspection items under §396.11 and §392.7, making it easy to get started. Add your own fleet-specific inspection items or create your own form from scratch with the drag n’ drop editor. Assign forms to specific vehicles and create schedules to ensure the drivers of assigned vehicles always see when an inspection is due. 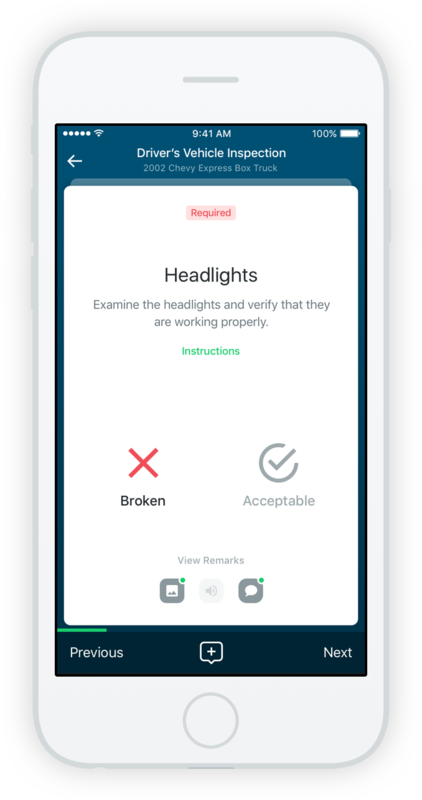 Using the compliant inspection forms assigned to their vehicle, drivers conduct their inspections in Fleetio Go, our fleet management mobile app. Drivers can upload photos and comments for any defects found and once all items have been inspected, they sign and submit their DVIR. There’s no paperwork to keep track of and they can pull up completed DVIRs at anytime from the road. 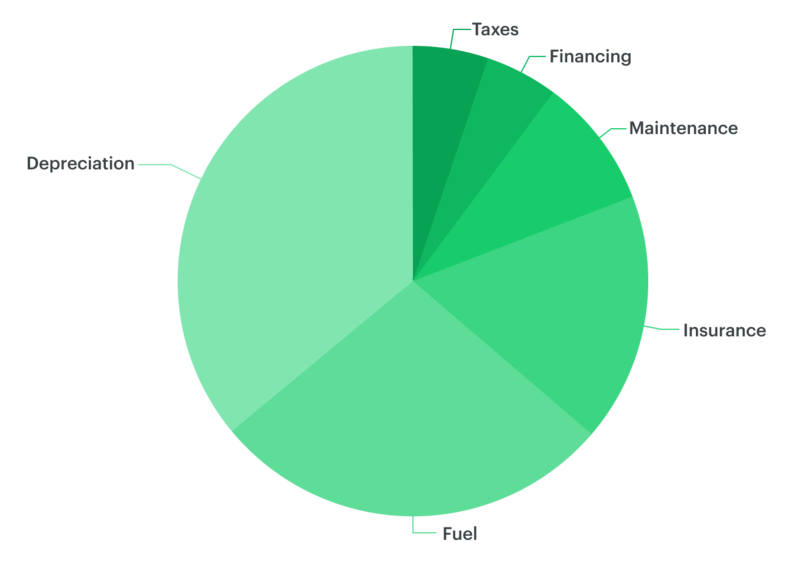 Any fleet manager knows that downtime can cost you serious money. Downtime can cut into revenue and productivity or earn you a hefty fine. FMCSRs state “a defect MUST be repaired if it affects the safe operation of a vehicle prior to operating the vehicle again (§396.11)”. If your driver arrives at a checkpoint operating a vehicle with critical, unresolved issues you could face fines ranging from a few hundred to tens of thousands of dollars per day the issue is outstanding. That’s why every issue reported through a DVIR appears in Fleetio right away, allowing you to take immediate action. Fleetio documents these actions against the original DVIR, keeping you compliant with §396.11. This is the final step in ensuring issues reported through DVIR are resolved and tracked to meet the expectations of the FMCSRs. In their next inspection, drivers must sign-off that critical, previously reported defects are repaired before operating the vehicle again. Fleetio makes this easy by surfacing open issues inside the inspection form, making it simple to close the loop. Per FMCSA regs, all of these actions are recorded against the original DVIR. When drivers pull up their DVIR from the road, DOT officers have access to all the necessary information to verify compliance. 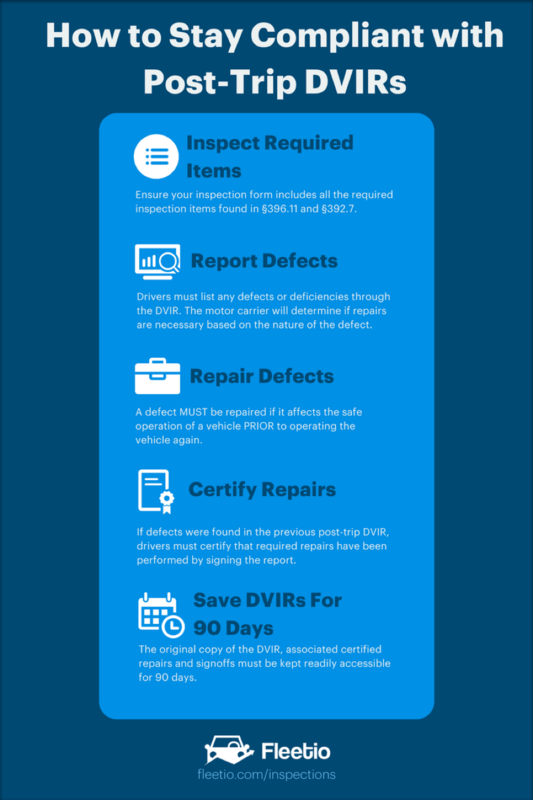 Now that you have the entire DVIR and issue repair process tracked properly, don’t forget to save those DVIRs for 90 days or more! Motor carriers are expected to keep them for at least that long. With Fleetio, you’ll have every DVIR and their associated repairs and sign-offs saved for life, making it simple to comply. 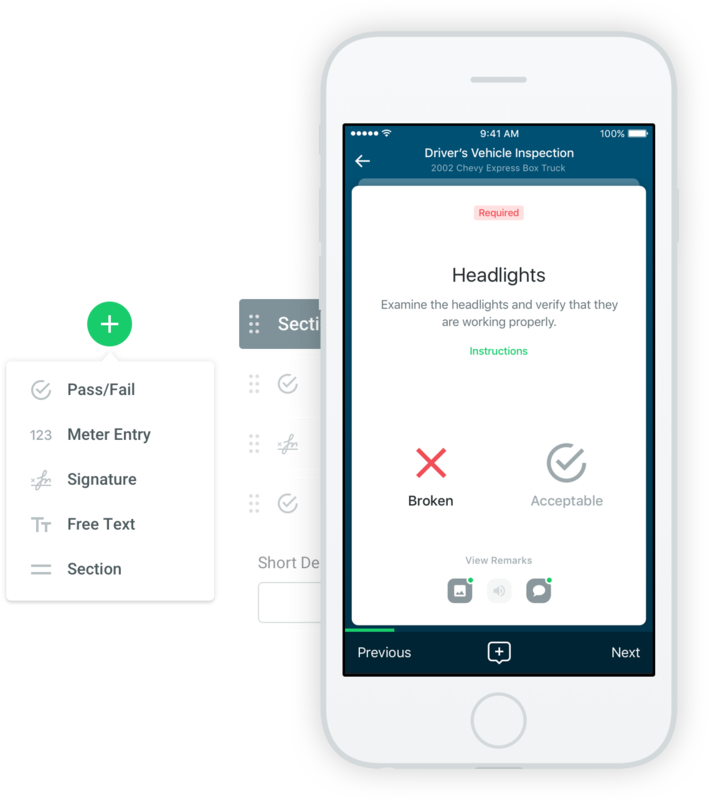 Whether you need to be FMCSA-compliant or you’re just looking for an “airtight” electronic inspections system, we’ve got you covered. 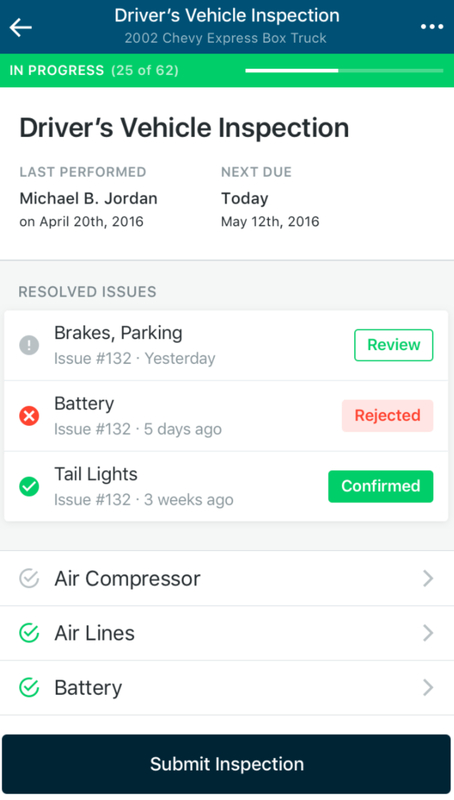 Want to see Fleetio Inspections in action? Get in touch for a live demo.